Published: Nov. 17, 2009 at 05:12 p.m. Updated: July 26, 2012 at 08:41 p.m.
Join the NFL Movement for making the next generation of youth the most active and healthy. Kids can learn how to get active at NFLRUSH.com. And fans have the chance to get involved today by donating to health and fitness organizations in their community. The NFL PLAY 60 campaign is designed to tackle childhood obesity by getting kids active through in-school, afterschool and team-based programs, online child-targeted outreach on NFLRUSH.com, and many partnerships with like-minded organizations. NFL PLAY 60 continues its movement through the NFL off-season. Spring and Summer are a great time to get active outdoors. Continue playing 60 minutes every day! Below are a few examples of how the NFL and NFL players are demonstrating their commitment to NFL PLAY 60 year-round. NFL PLAY 60 participated in the Annual Easter Egg Roll at the White House. 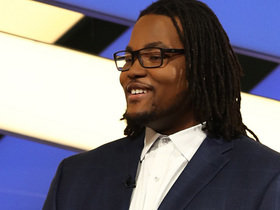 As the only national sports league present at the event, players from member clubs including Washington Redskins players Kevin Barnes, Alvin Bowen, Derrick Dockery, Reed Doughty, Chris Horton, Marko Mitchell, Will Robinson, Casey Rabach, Justin Tryon, Edwin Williams, Anthony Montgomery, Lorenzo Alexander, H.B. (Horatio Benedict) Blades, Doug Dutch, Baltimore Ravens players Matt Lawrence and Sam Koch as well as Miami Dolphins player Chad Pennington taught attendees football skills and drills. Approximately 1,000 lucky New York City students attended the NFL's Draft Youth Football Festival in Central Park. Participants learned football skills and drills from NFL players including New York Giants: Ramses Barden, Michael Boley, Andre Brown, Jonathan Goff, Domenik Hixon, Bryan Kehl, Terrell Thomas; New York Jets: Kenwin Cummings, Marcus Henry, Tony Richardson, Brad Smith, Rob Turner, Jamaal Westerman, Danny Woodhead; and Atlanta Falcons: Tony Gonzalez. NFL Commissioner Rodger Goodell and wellness expert Jillian Michaels of NBC's "The Biggest Loser," Deion Sanders and top Draft prospects including: Eric Berry, Gerald McCoy, Derrick Morgan, Jared Odrick, Russell Okung, Ndamukong Suh, Dan Williams, Trent Williamswere also in attendance. 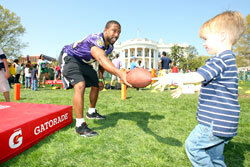 Baltimore Ravens running back Matt Lawrence helps kids Play 60 at the annual Easter Egg Roll on the South Lawn of the White House. How You Can Join the Movement Today! Whether you're a parent, educator, coach or friend, you can help make kids' lives healthier by just getting them to go outside and play. This holiday season, have fun as a family and let your kids know that getting healthy starts with getting exercise. You can take your kids out for a game of good old touch football. All they need is 60 minutes of active play each day! 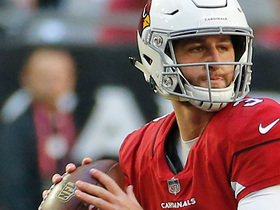 Play Tips on NFLRUSH.com: Remind kids that NFL players play for 60 minutes each game, so they should make sure to play too! The NFL's website for kids allows them to learn how to play and why it's important. PLAY 60 Challenge: Learn more about how you can inspire play with the PLAY 60 Challenge. We have a student planner that lets kids take control of their activity. Or you can implement the program in your school to get all the kids active! The NFL has teamed up with the American Heart Association to bring this great program to kids nationwide. 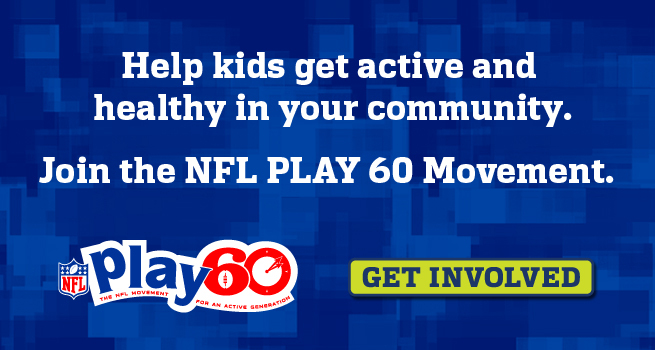 Get active with some of NFL PLAY 60's partners: Check out Playworks to find great play ideas for your family. Download their official playbook to learn a few new games. See what the folks at Action for Healthy Kids are up to and peruse the tools they offer to help fight obesity. Consider purchasing some new fitness equipment like the HOPSport training system featured at many NFL Youth Football Festivals. Donate Now! If you're looking for an easy way to make a big difference in kids' health and wellness, please take the time to donate to one of our partner organizations this holiday season. We have selected 4 non-profit organizations that share in our mission to get kids active and healthy. Thank you for your generosity and for giving the gift of play! Support PLAY 60 Charities AND Get Gifts for Loved Ones at NFL Auction! You can purchase signed items from players involved in our campaign -- such as Drew Brees, Brandon Jacobs, Jason Witten -- and many more! NFL FLAG: The NFL offers a fun and safe way for kids to play football -- NFL FLAG. You can start a league in your area or join one that already exists. NFL Girls' Flag: Girls nationwide are playing football. Find out how you can get your kids or your female students playing! 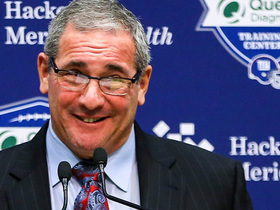 USA Football: As a partner of the NFL, USA Football offers great resources for coaches. Learn how to inspire kids to love getting active and healthy by playing football. United Way Kids Get Fit: Kids Get Fit is United Way's program to raise awareness about the importance of youth heath and fitness. It provides resources for parents to learn how to join the movement and get their kids fit. Learn about the program and ways you can get involved today. VolunteerMatch: This search tool allows you to search for and find volunteer opportunities in your neighborhood. You can search for Kids' activities and find what fits your interests most. Fuel Up to Play 60: Kids need to eat healthy along with getting active. NFL PLAY 60 has partnered with the National Dairy Council to make sure that they get all the nutrition they need with this fun and engaging program. With the interactive program and fun prizes, kids are motivated to take control of their schools' focus on health and wellness. Keep Gym In School: The NFL Network is working with Cox Cable and local school districts to adopt and deliver high quality, daily physical education opportunities to school students. They will provide support to upgrade facilities, hire certified PE instructors and supply equipment for PE classes. NFL PLAY 60 comes to life year-round with all 32 NFL Clubs in their communities. 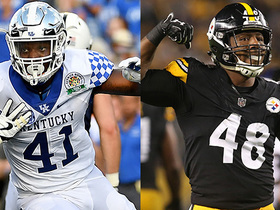 NFL players make school visits to talk about the importance of health and fitness, help build new places for children to play, and take part in our Public Service Announcements. NFL teams are working with private, non-profit and government partners in their communities and are committed to making the next generation of youth the most active and healthy. For more information on year-round NFL PLAY 60 programs, visit NFLRUSH.com. NFL PLAY 60 brings together the NFL's long-standing commitment to health and fitness with an impressive roster of partner organizations. Our partners include: United Way, The American Heart Association, Action for Healthy Kids, Cartoon Network, Nike, Nickelodeon, The Boys and Girls Clubs of America and The National Dairy Council. For more information about which other companies are joining the fight against childhood obesity, please visit NFLRUSH.com.